From a developer’s perspective, I can say that it’s always nice to try new products and see how they work. 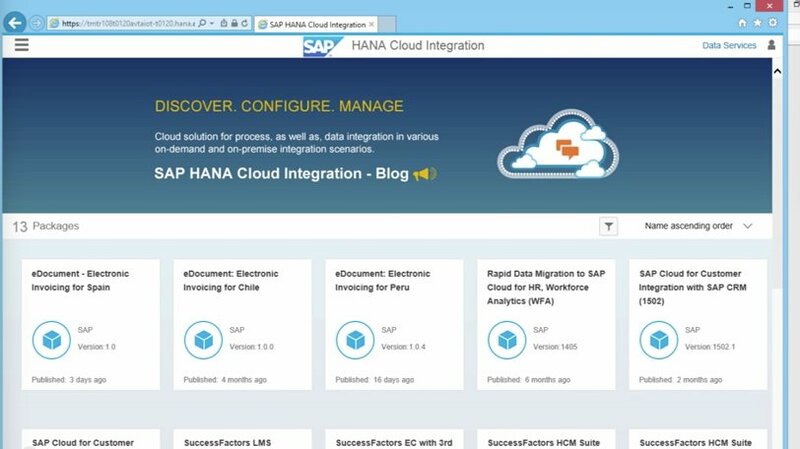 I had the privilege of being able to test out HANA Cloud Integration (HCI) during the trial period. I really liked it! It seemed to be a tool that made it easier for developers to work on applications. It is interesting to see how much things have evolved since the start of XI 3.0, about 11 years ago. The environment is an online platform, which makes it very easy to develop. You do not need to download a lot of stuff to develop and enhance your projects. It is based on flows. You can send messages through the BPMN (Business Process Model Notation). You will be shown what is going on, receiving relevant details. You don’t have the processing flow you were used to in the Process Orchestration (PO) stack. You’re basically taking a message and sending it somewhere else. The message mappings can be imported, which is really nice. It makes it easy to use the backwards compatibility function - you can take all your PI content and move it to the Cloud, then continue developing there. HCI is a great tool to work with. Unfortunately, the product is not yet fully functional. However, it is fit for use (with some limitations and challenges, of course). You need to take this into consideration when choosing this tool. There’s nothing that cannot be fixed in a short period of time. My guess is that some of these elements will be updated in the following releases of HCI. As it is a cloud-based platform, your development gets constantly updated. During my 30-day trial I experienced an upgrade, and I had to update my Eclipse tooling.This is a lot different from working in an ondemand system, where you don’t know how much time will pass until you’ll receive support packages. Here you just get them whenever they’re ready, so you always own the latest release. The tool is primarily aimed towards organizations that use Cloud-to-Cloud Integration. The delivery of enhancement/content packages makes HCI really easy to use. It is great for companies that don’t have an integration broker internally. In case they already have PI, it should be noted that some of the packages contain great value - it makes sense to have them. You can read my other comments on SAP HCI. I'm a geek that enjoy spending time in figuring out how to optimise business ideas. I use to implement them for big companies and I also enjoy to help people become better developers.